I'm currently in love with this flower blazer that I purchased from Odioli a months ago, and guess what, it's sell out quickly just after I got my package. I love your persumall finds. I can't wait for your next outfit post! Wulaaan! So much in love with your floral blazer!!! such a pretty blazer! love the print! So nice outfits, you are so beautiful, and I like the coat with too many flowers, very colorful!! stumbled upon your blog and this outfit instantly caught my eye! 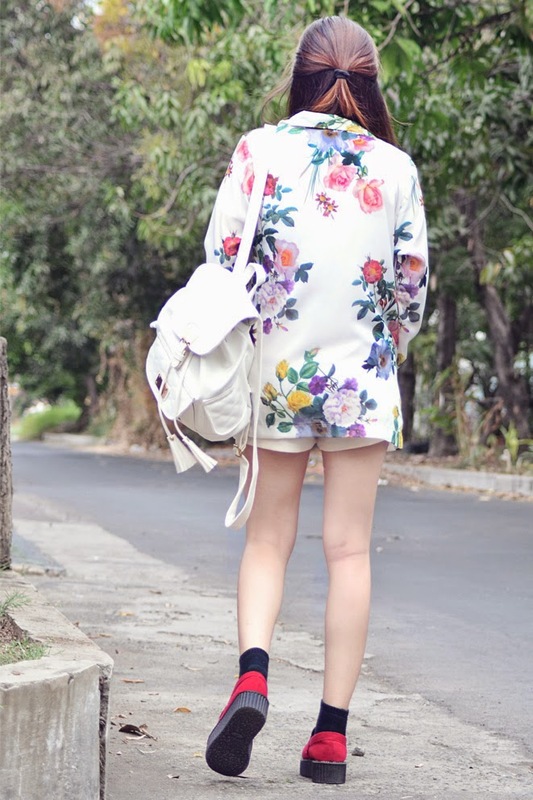 love the floral and red creepers combination :)!